Every player gets 4 cards. At the start of the card game with multiplayer support every player may look at 2 of his cards, the other two cards will remain unknown. After looking the game starts and each player has to make the lowest number of points possible by switching card from the middle or the deck (blind card). This game is free to download without limitations. Here is a list with the most important options for this free card game. It should help you to give a better understanding about this free game. - Unique game card game concept. - Extended options to customize your game. 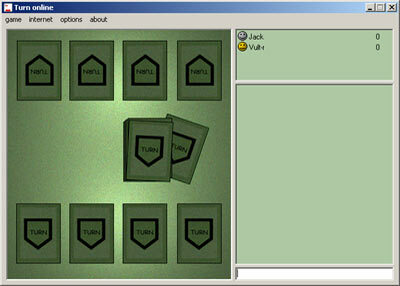 This is a screenshot of this free card game. The screenshot is resized to fit on the website. The size of the actual game is bigger.